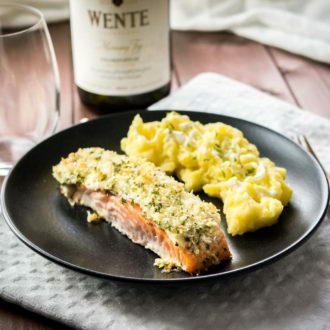 My Parmesan Crusted Salmon is slathered with delicious creamy lemon-infused horseradish and then covered with a herbed parmesan and panko crumb mixture. This elegant dish may look fancy but it’s easy enough to be a weeknight main course! Guys, it’s almost December! 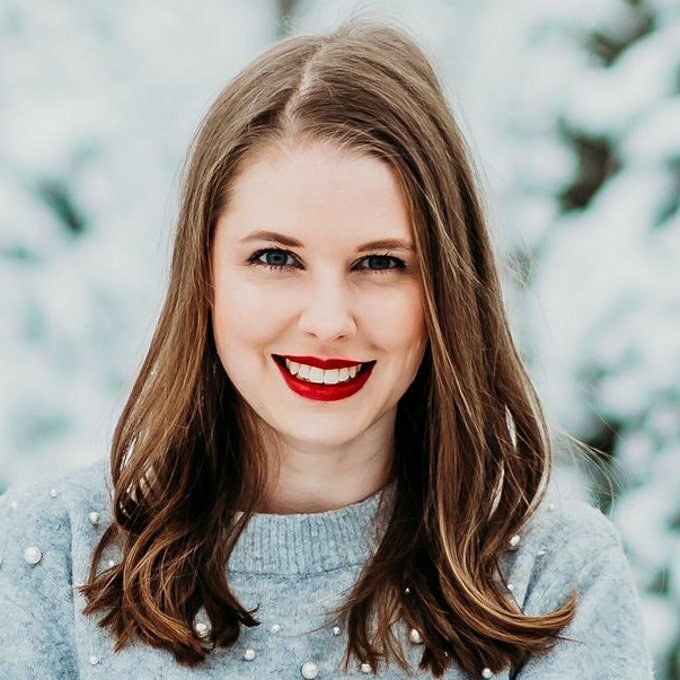 I can’t believe how quickly this year went by but now begins my favorite time of the year and I’m so excited for the holidays! 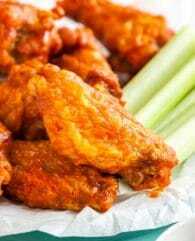 My favorite way to enjoy this season is having a delicious meal with my loved ones. 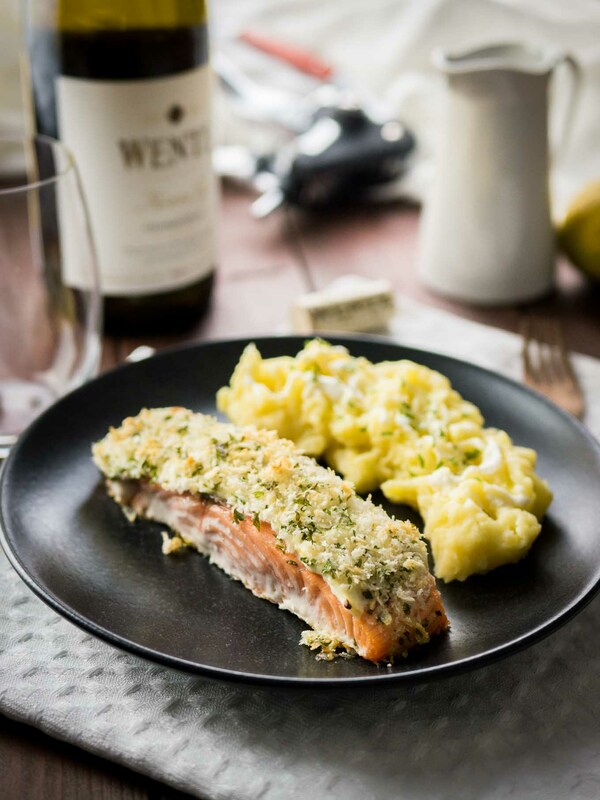 Horseradish Parmesan Crusted Salmon makes a delicious weeknight dinner but is also special enough for guests! 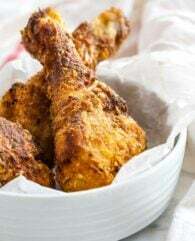 This easy recipe is quick to make with simple ingredients and is super flavorful! One of my favorite dishes which I could eat every day is salmon! I love smoked salmon, this easy smoked salmon dip is a great appetizer for every party, but I also love fresh salmon fillet. It’s easy to prep and so delicious. You just need 20 minutes and you have a dinner fancy enough for guests but also easy enough for weeknights. Or date night in our case today! And date night wouldn’t be complete without a good bottle of wine, am I right?! We picked up a Chardonnay which is a perfect wine to pair with fish but also great with poultry or cheese. I’m always looking for new wines to try and I’m a big fan of white wine, Chardonnay is one of my favorites. My tip: Have red and white wine on hand for parties, so that all guests are happy! 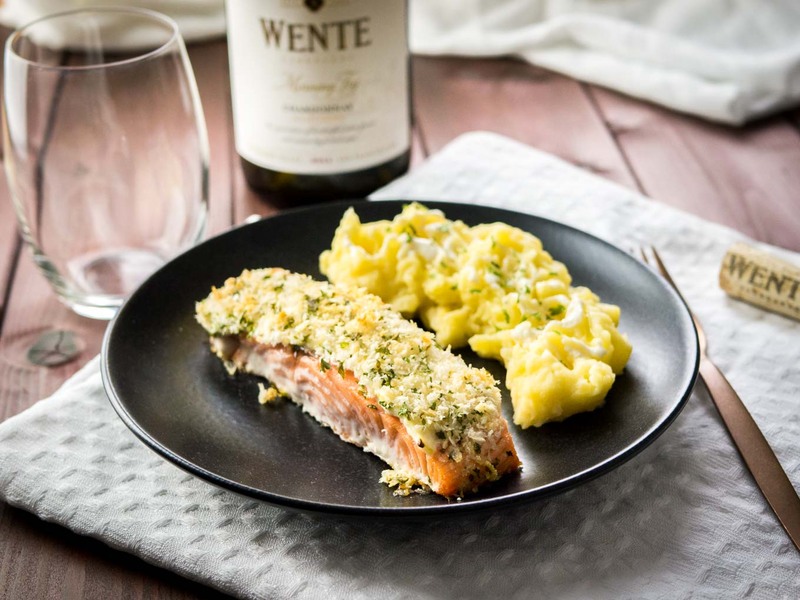 Making my panko bread and parmesan crusted salmon is really easy and quick! We like to cook together on date nights (while sipping on a glass of wine, of course!) and this easy dish is perfect for that. 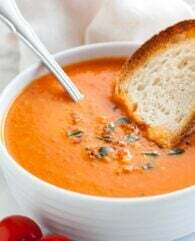 The recipe is really foolproof and takes only 20 minutes from start to finish. 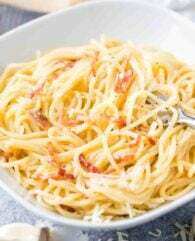 To make it combine the cream cheese, creamy horseradish, and freshly grated lemon zest in one bowl and the breadcrumbs, parmesan, and parsley in another. 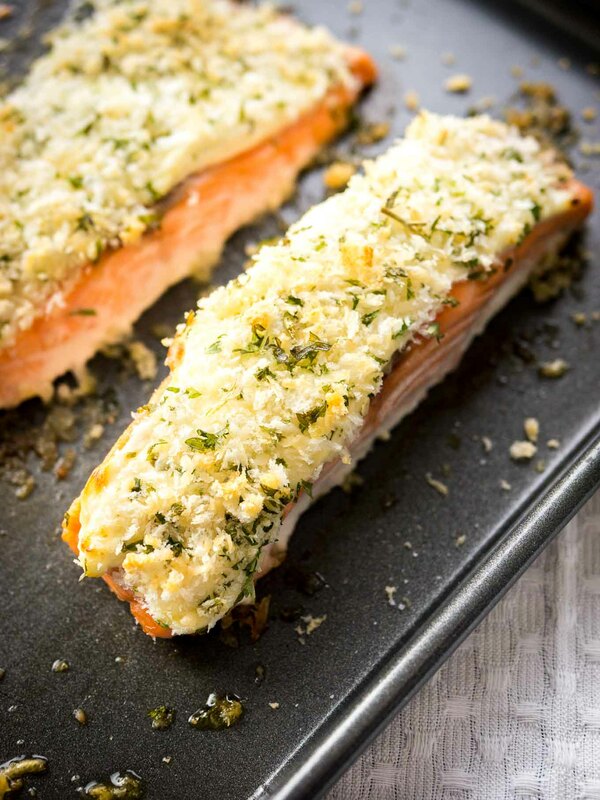 Season the salmon fillets and spread the horseradish mixture on top of each fillet, then sprinkle the crumb mixture on top. Press the crumbs a little bit onto the fillets and then bake them for 15 minutes. So easy! 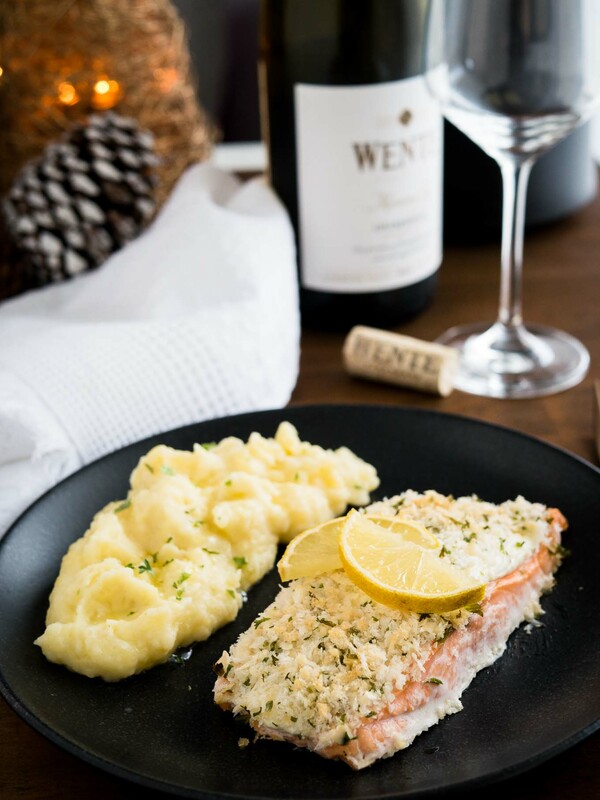 Serve this panko bread crusted salmon with horseradish and potato mash for a fancy but easy (date night) dinner. And for dessert, I recommend my dark chocolate red wine cake which pairs really well with a glass of Southern Hills Cabernet Sauvignon. 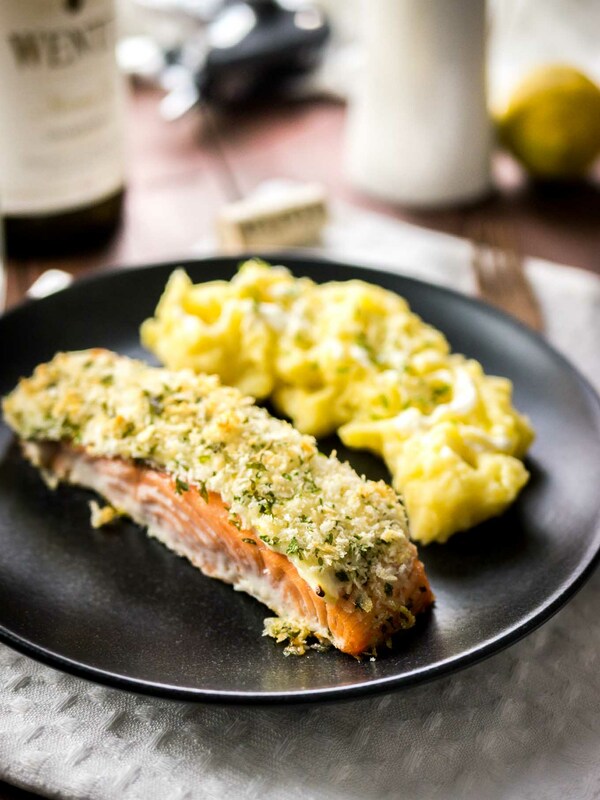 My Horseradish Parmesan crusted Salmon is baked in the oven and only takes 20 mins to make. A dinner fancy enough for guests but easy enough for weeknights! Preheat the oven to 400°F (200°C) and prepare a baking sheet with olive oil. Place the salmon fillets on the baking sheet, drizzle a little bit of olive oil over the fish, and season with salt and pepper. 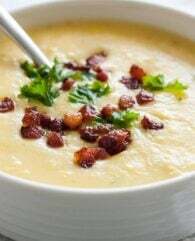 Combine the cream cheese, creamy horseradish, and lemon zest in a small. Spread on top of each salmon fillet. 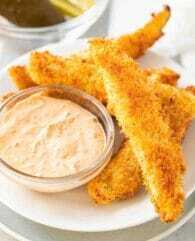 Mix the panko breadcrumbs, parmesan, and parsley in a small bowl and sprinkle on top of the cream cheese mixture. Bake in the oven for about 15 minutes. The salmon is done when it' color has changed from translucent to an opaque pink. We love this and make it about once a week! 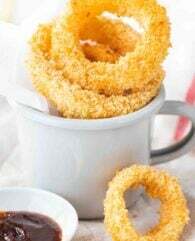 Our only change is using crushed pork rinds since we’re on a low carb “diet”. This was really delicous! I used True Lemon Cristalized Lemo instead of lemon zest.. That was the only change I made. Will make again, thank you!